A four-storey building built in the 1950s. 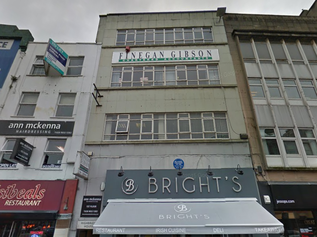 A planning application (LA04/2016/1030/F) submitted in May 2016 by Mr & Mrs Bright and Dimensions Chartered Architects proposes change of use and alterations to first, second and third floor offices to form 5no. apartments as short term holiday lets.